Byzantium, Constantinople, Istanbul are the names of this magnificent city, which was also called Nova Roma, New Rome or Second Rome. Emperor Constantine built walls to protect the city, but new housing developments outside them and the growing threat of the Goths and the Huns made them obsolete. 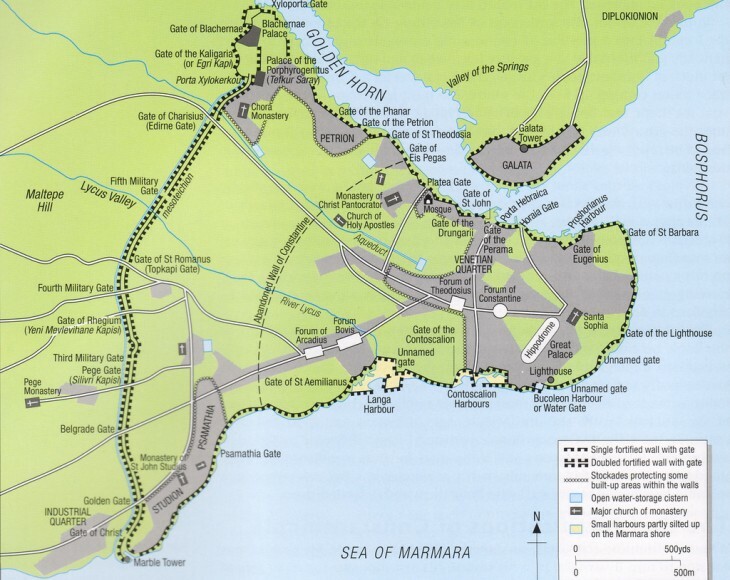 In 413 Eastern Roman Emperor Theodosius II decided to build new walls, not only on land, but also on the seafront. This section deals with these imposing fortifications. Another section deals with the main monuments of the city and a third one with Galata, the Genoese colony on the Golden Horn opposite Constantinople. Initially the walls were made up of one line, but soon Theodosius strengthened the land walls by adding a second line and a moat. Both the inner and the outer wall were protected by towers placed at a distance of 170 feet from each other. In 1204 the Crusaders managed to conquer some towers of the maritime walls on the Golden Horn and eventually to open three gates to let their comrades into the city (you may wish to see some mosaics at Ravenna which celebrated the event). 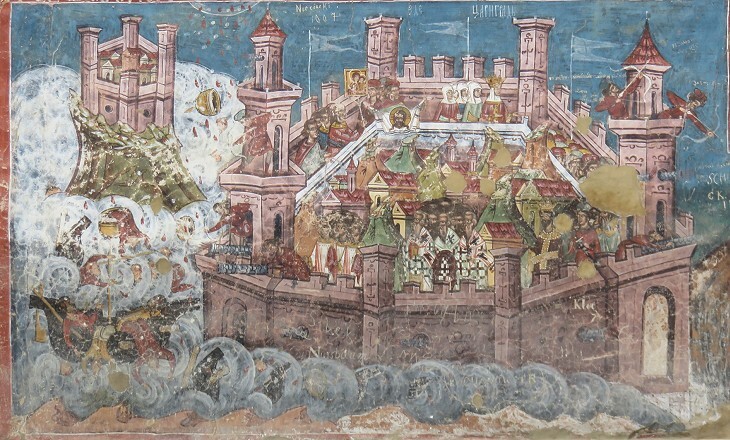 The land walls were eventually breached by a large Ottoman cannon in 1453.